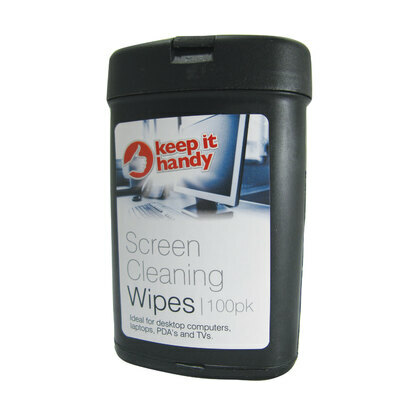 Make sure your work environment is kept as clean and workable as possible with these Screen Cleaning Wipes. Developed for use with electronic equipment including laptops, PDAs and desktop computers, each wipe has been impregnated with an effective cleaning solution. Leaving behind no unsightly residue or smear marks, they are provided in a durable plastic tub with resealable lid. The perforated opening allows a single wipe to be removed at any given time - helping to improve economy and reduce waste. Our Desk Accessories category has everything from Sharpeners through to Whiteboards - and all for an exceptional wholesale price.